When it comes to really going after what you want, there are those that do what they have to do to get the job done. They come in early. They stay late. They do extra assignments and they go pretty far in life. Then, there is Gina Miller. When you think about sacrificing in order to have a seat at the table that you want to be at and going above and beyond, she is all of that and more. 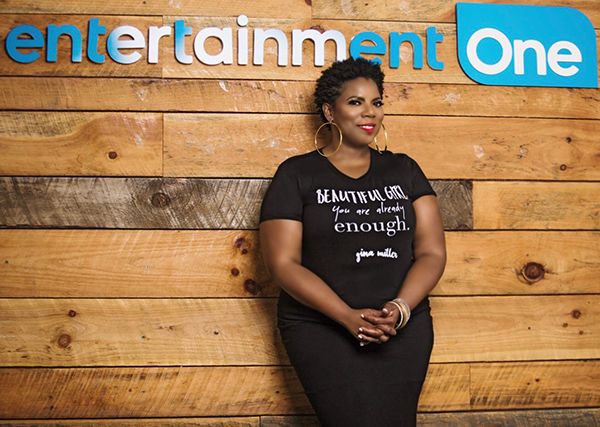 From being the Vice President and General Manager of Urban Inspirational Music at Entertainment One to recently being named one of the Most Powerful Executives in the industry according to Billboard’s annual list, Gina Miller is one of the few African American women ranking high in the music industry. So, let’s go back to how it all began with Gina Miller and Entertainment One. Gina says that she was introduced to the, then, President and to the CEO. She said Entertainment One represented the type of music and artists that she loved so she wanted to be a part of what was happening in the company. She said that she asked if she could apply for a job and was then connected to the person in charge of hiring only to be told that there were no open positions available so what did Gina do? She took what was basically an unpaid internship so that she could learn the company and the business. “I was a married woman and had two sons and this was a very nonconventional approach for where I was in my life at the time”, Miller says. She says that she came in and worked in all departments in the business from sales and marketing to radio promotions until they eventually created a part-time job for her and she continued to work and prove herself until she earned her seat at the table. So, Gina, how does it feel to be named with such a high honor as Most Powerful Executives in the industry by Billboard? “It feels like the gift that keeps on giving. This is certainly one of the highlights for me personally and professionally,” Miller says. She describes this an amazing time to sit among others that do such amazing things in the industry. She says that the definition of what success is and how we get there has changed so much and that lane has gotten much wider allowing more of us to be able to “write our own rules and build our own tables.” Miller says that she feels blessed to be able to come up with ideas and to be in a time where she can work her ideas and work a plan until something sticks. “Change can be difficult for people and things have changed so much from when I used to listen to music when I was younger but we found ways to adapt and I think that we are in a transition in the industry,” Miller says. Miller says as she describes the questions that any new artist should ask of themselves coming into the music industry. “Even if you have achieved veteran status, as you grow and evolve, you should always be asking yourself these questions,” Miller says. She says that she believes that artists should always know whether or not they are being true to themselves and walking in their purpose. “It is very hard to be someone that you are not,” she says. With Miller being the powerhouse that she is and being a former NFL wife and mother of two sons, we wanted to know what advice she has for women that are looking to move forward and love again. “The key is to be true to yourself and to be honest about what you want to see in your life and how do you get there. I think we have to be willing to be okay with the fact that our path may not look like those of the others around us,” she says. She says that the key for her has been clarity and honesty with herself and being okay with the decisions that she makes for herself even though other people may question those decisions. She says she feels that you have to be okay with sometimes having to begin again if things don’t necessarily turn out the way you wanted them to in life. She says that we can expect to see a book on the shelves with her name on it in the near future!